Prudence Collier spent the better part of her reckless youth proving that she was not aptly named, and unfortunately she burned a few bridges in the process, including where her family is concerned. So when her long-estranged sister invites her to her destination wedding in the Virgin Islands, Prue leaps at the chance to mend at least one broken family relationship and prove that she’s a changed person. Tucker Davies, on the other hand, has come to the islands for a very different reason: to stop the wedding. As a childhood friend of the groom, he has reason to believe that his friend is about to make a huge mistake and is intent on not letting that happen. One thing he didn’t count on, though, was going up against Prue. Determined to make up for the past, Prue resolves to keep Tucker from interfering with her sister’s happiness in the present and is willing to go to any lengths necessary to do so. Any. And if that requires a few tiny deceptions here and there, the occasional brush with the local authorities, and perhaps even instigating a barroom brawl, so be it. A sister has to do what a sister has to do. But so does a friend, and Tucker has no intention of backing down, no matter how aggravating or even—to his surprise—appealing Prudence Collier can be. The war is on, and neither side believes they can afford to surrender. She froze in front of him like a deer caught in the headlights, and despite the fact that she had some serious explaining to do, the first thought that went through Tucker’s mind when her eyes widened was that they certainly were a remarkable shade of green, weren’t they? “Good morning,” she returned warily, and then those green eyes of hers narrowed. Well, that seemed like an odd reaction. If either of them ought to be upset, he was fairly certain it should be him, not her. And had he not been so intensely curious as to why she had sent him on a wild goose chase yesterday, he might have been more upset than he already was. “Then I think you’re out of luck.” And she drained the rest of her drink in front of him. “I’ll bet,” she muttered, so much under her breath that he almost missed it. Instead of answering, she played with the empty coffee cup in her hands. She played with her cup some more without looking up, and he realized he had his answer. He blinked and then stared at her, and she nodded back, her displeasure with him written all over her face. “No…” he breathed in disbelief. 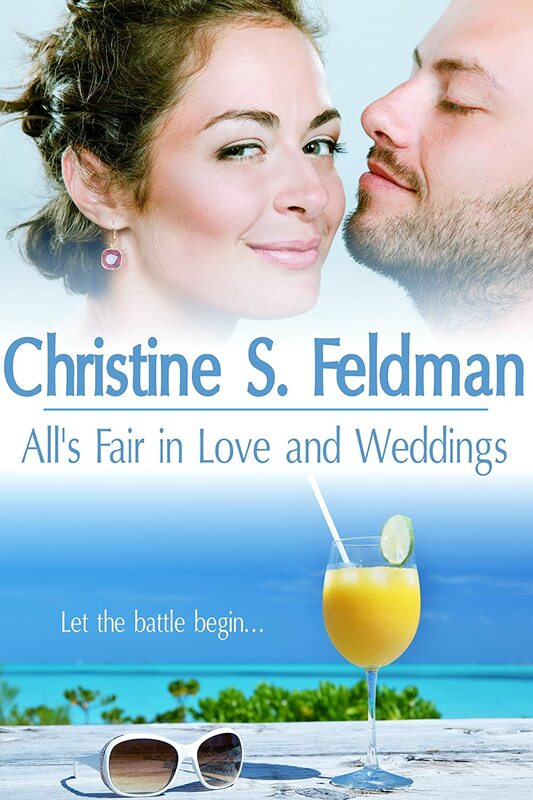 Christine S. Feldman writes both novels and feature-length screenplays, and, to her great delight, she has placed in screenwriting competitions on both coasts—and has even won a couple of them. In 2012 one of her screenplays was featured as a staged reading in New York City at the Gotham Screen International Film Festival (http://www.gsiff.com/content/staged-screenplay-reading-1), and later that same year she signed her first publishing contract. When she is not writing, she is teaching kindergarten, puttering around in her garden, ballroom dancing with her husband, or doing research for her next project. Please visit her at her website http://christinesfeldman.com, on Facebook at https://www.facebook.com/ChristineSFeldman, or follow her on Twitter at https://twitter.com/FeldmanCS.